2015 Transition Team Food Drive – SAGE Counseling, Inc. 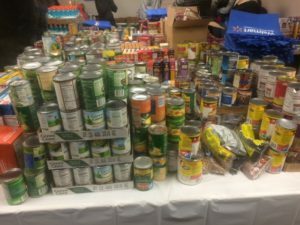 Transition staff requested non-perishable food item donations from SAGE employees. We also received a great deal of support/food donations from my family’s ministry, Deep within Rehab. Steve Grams continued to support this drive and mad a monetary donation to assist in ensuring this event is successful.